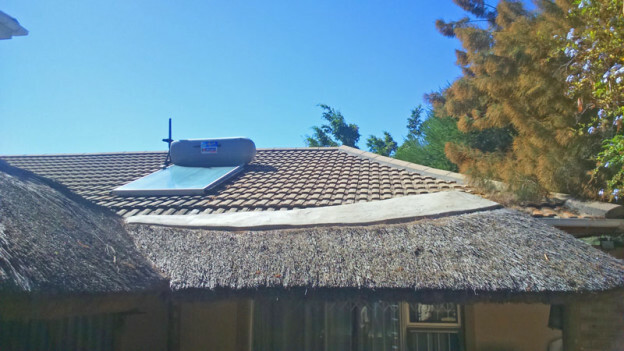 Service a solar geyser system…yes or no? 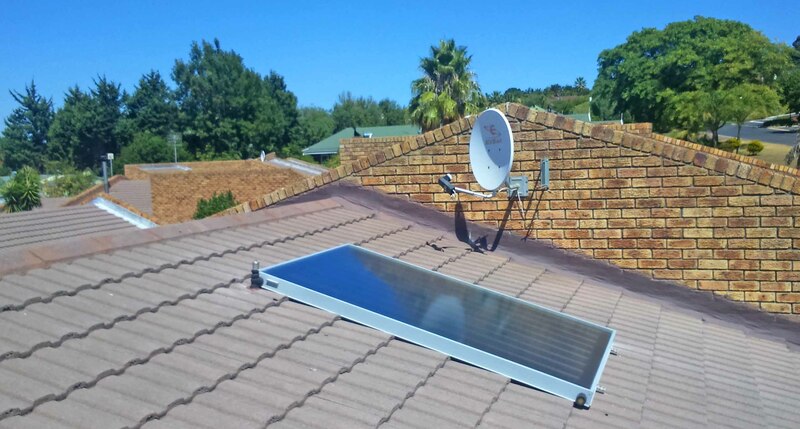 This article is about a *natural flow solar geyser system with a flat panel (as in the picture) which we serviced recently. The question is to: Service a solar geyser system…yes or no? *natural flow = thermosiphon (it is where the geyser is located higher than the solar water panel and no pump is required to circulate the water between the geyser and the panel). The environment and man may have an impact on the need for a service over time. The sun/birds/squirrels may be working away at the *lagging around the water pipes on the roof; * lagging is insulation material which limits heat loss. Smaller parts (element, timer, pressure control valve, etc.) may be or become faulty, although we stick to trusted parts from reliable suppliers. We find that the service requirements differ from area to area due to the weather and environmental differences. We therefore propose a basic service for our existing clients in order to keep the expenses as low as possible. If we find that e.g. the lagging need to be replaced, we then first discuss it with the client and get his/her approval to replace it. The basic service has a fixed cost (if we have to travel quite a distance, we will then discuss additional fuel cost with the client beforehand). This is a solar geyser system we installed almost 5 years ago. This entry was posted in Service your solar geyser system and tagged Coal savings, Electricity savings, energy efficiency, Environmental friendly, High standards and quality with solar geyser installations, Low carbon footprint, Lower electricity consumption, Meeting and exceeding the standards with solar geyser installations, Reduce electricity consumption, Service a solar geyser system in Kuils River, service solar geyser system, solar geyser, Solar geyser installation in Kuils River, Which company installs solar geysers in the Western Cape, Who service solar geysers?, Xstream geyser on July 18, 2016 by Hannetjie.